To reserve a seat, please go to YourVoiceOhio.org and sign up for your respective meeting. The numbers just aren’t good for Ohio: 152,000 fewer jobs than in 2000, lower household income, high student debt, falling behind in education — almost every measure used to define quality of life is going in the wrong direction. People don’t have to see the numbers – they see it in neighborhoods. Auto parts stores, payday lenders and deep-discount stores in almost every town are evidence of cash-strapped households. There are entire vacant blocks in once proud residential areas of Youngstown, Mansfield, Dayton. County-coroner morgues often overflow with drug victims. New moms and babies increasingly are in the hospital due to complications. At one time an attractive, thriving state, something now is terribly wrong — and in some communities has been for well over 20 years. Local news organizations such as The Lima News want to help change the direction by holding conversations about solutions — to see where people agree and let citizens set the agenda for what is most useful to their lives. One of those community meetings is scheduled from 6 to 8 p.m. Thursday, Sept. 27 in the Crystal Room at the University of Northwestern Ohio Event Center, 1450 N. Cable Road, Lima. Sign up to join the meeting at YourVoiceOhio.org. The Your Voice Ohio media collaborative, which began in late 2015 to try to bring voice to the people in the 2016 presidential election, has grown from about 10 participating news outlets to more than 40 print, broadcast and online news organizations across Ohio and into West Virginia. In Allen County, the number of jobs peaked at 59,448 in 2000. Ten thousand jobs were lost by the depth of the Great Recession and still today Allen is down 9,000 jobs, or 14 percent, since the peak. Nearly a third of Ohio’s 88 counties fared worse. Your Voice Ohio also will ask a small group of people demographically representative of the state at a three-day session in Columbus to discuss what they want their local news organization to do for them as they navigate the questions of vibrancy. The media group will report the community gatherings in real time to help Ohioans think about the election and to consider long-term solutions to the real-life struggles facing most in the state. For the past year, Your Voice Ohio sponsored community conversations about the addiction crisis that is killing 4,000 Ohioans annually. Nearly 1,000 people participated and helped identify consistency in what people believe are the solutions. Those ideas were delivered to state officials and are available online. Most importantly, people said people and families faced with addiction need to be treated with human dignity, and children need coping skills for a difficult world. Ohioans can point to those ideas as they question candidates for state office this fall or use them in the community to launch effective solutions. For Your Voice Ohio, participating newsrooms set aside competitive instincts and share resources to report on solutions offered by the public and to hold public officials accountable to what the people said. Now, the group is turning to the far more complicated issue of the economy, which Ohioans identified in the Your Voice Ohio/University of Akron poll in 2016 as the most important issue. Your Voice Ohio will hold several community meetings before the election, share results statewide for campaign events, evaluate and then expand to more communities afterward. The group sees it as a long-term initiative. The first sessions are Sept. 23 in Dayton, Sept. 24 in Springfield, Sept. 25 in Columbus and Sept. 27 in Lima. Venue searches are under way for Cleveland, Warren and Akron the following week. Exact times, locations and sign-up information are available at YourVoiceOhio.org. The word “economy” can be intimidating because it means so many different things. In the statewide poll, Ohioans used the words jobs, overall economy, debt, poverty, income inequality, trade and perhaps even the cost of health care as they thought about issues. The group asks people in each community to think about these ideas: What does a vibrant, happy community look like? What one thing would you change about your community to move toward vibrancy? What strengths are there in the community that can be applied to achieve vibrancy? How do you get started? • Ranked by median household income, Ohio dropped from 19th in the nation in 2000 to 37th in 2016, tying with Missouri and Delaware for the second-biggest drop in ranking in the country. Does your community feel like that? Why or why not? • For the first time in at least a half century, Ohio did not recover jobs from one recession before it entered the next recession. Even more ominous is that we are long overdue for another recession and we have yet to reach the peak set in 2000. One county lost nine out of every 10 manufacturing jobs. How did your community fair? • An entire generation — the millennials — came of working age in Ohio when population was growing but the number of jobs was in decline. How are people in their 20s and 30s in your community doing? • There is a correlation between economic struggle and the addiction crisis, which is claiming lives and sucking financial vibrancy from families, communities and the state. The opioid epidemic has spared no demographic group. Over the next few weeks, the Your Voice Ohio news organizations will roll out data on each county so that Ohioans can see where they fit in the big picture. There are a few counties that have done well, but most have not. 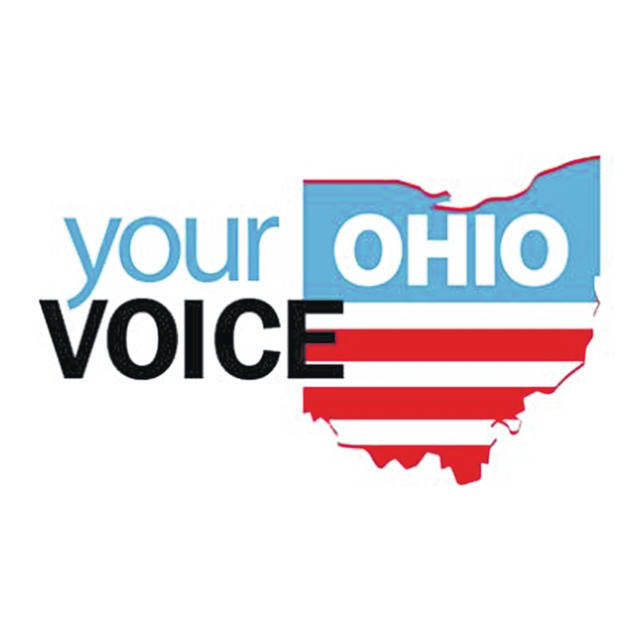 Your Voice Ohio receives funding from the John S. and James L. Knight Foundation and the Democracy Fund. Community conversations, grant work and the Your Voice Ohio web site are designed by the Jefferson Center, a non-partisan, non-profit civic engagement organization in St. Paul, Minn. Local news organizations work with Doug Oplinger, former managing editor at the Akron Beacon Journal, where the media collaborative was launched.